A new website for the Union’s letting agency saw a 220% increase in traffic over its first year. 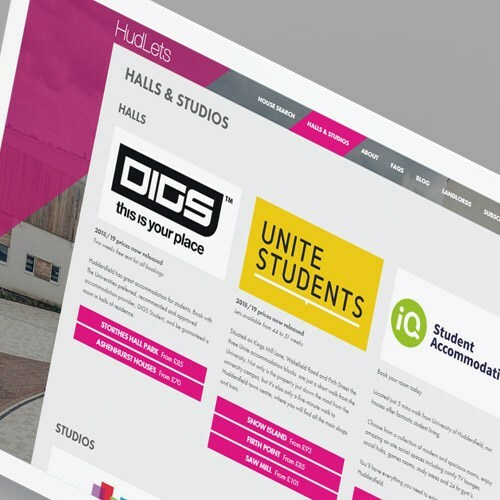 HudLets is the University of Huddersfield Student Union’s letting agency, providing houses, flats and halls for the town’s ever-increasing student population, ensuring they have access to high-quality accommodation at fair prices. HudLets provides support to a number of landlords and offers a range of properties across the town. HudLets required a new website that displayed all of their available properties, and allowed students to search by size, price and location. 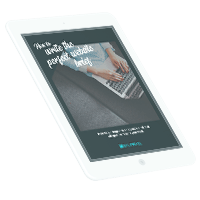 The design had to be in-keeping with their existing branding, integrate with their property database, and provide a content management system (CMS) for multiple users to maintain, populate and manage the site. HudLets were very keen to differentiate between their two main offerings – halls and houses – so we started by planning a sitemap that allowed the user journey to branch off depending on what visitors were interested in. The houses route directs users straight to a more straightforward property listings page, whereas the halls route gives a bit more information about the various halls that HudLets offers. We created a clean, bold and minimalist site design, focusing on picturesque images of Huddersfield University and the surrounding area to both help sell the university to prospective students and highlight the letting agency’s ties with the union. HudLets had an existing brand and logo that we built upon to create the look and feel of the site, taking the colours and sharp angles and incorporating these heavily into the design. The property pages themselves are very minimal, showing all the information as clearly as possible, and incorporating a simple image gallery. Keeping things simple for new students who have never found their own accommodation before was one of our goals with the design, and the finished site is clear and easy to use. The site was built in WordPress, and as such features a full CMS for HudLets’ staff. We also created an XML feed to link with the client’s existing letting system to effectively auto-update the site as they added and removed properties from their database. We added a detail view and a Google Maps-based search tool to the property listings, as well as a map and street view on each individual property page. Each property features social sharing buttons for Facebook, Twitter, email and more to let current and prospective students easily share properties they are interested in with friends and family, as well as an integrated form to enquire directly about a specific house or flat. It’s the whole package. 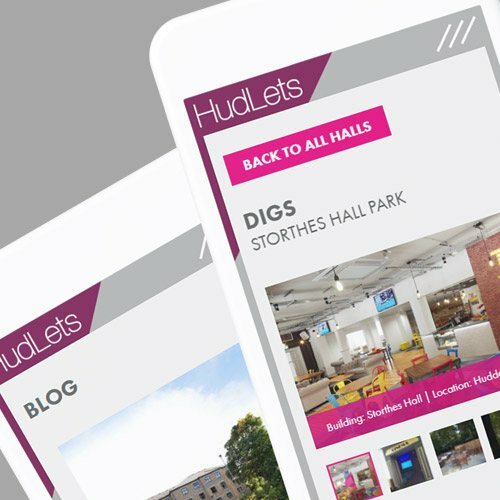 As well as supporting the HudLets team with ongoing maintenance and management of the site, we have also worked with UHSU on various other projects, including websites for its freshers events. We’re always excited to work with a team that are such a big part of life in our own town!